December 3, 2018 10:30 am. Odds on favourite Le Vent Se Leve won the Champions Cup in consummate ease. Odds-on-favorite Le Vent Se Leve won this year’s Champions Cup in record-tying speed of 1:50.1 and extended his winning streak to four. He is the fourth three-year-old to claim the race (including the Japan Cup Dirt) following Kurofune (2001), Kane Hekili (2005) and Alondite (2006). 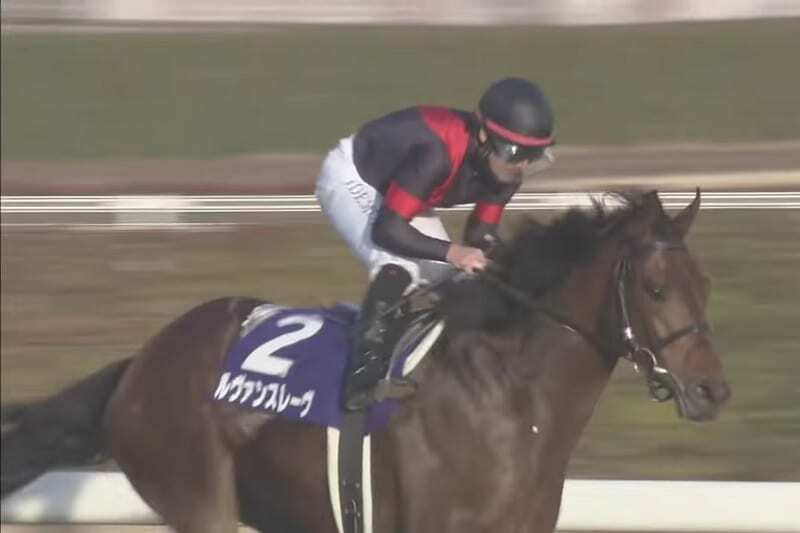 Scoring three consecutive wins in his three starts as a two-year-old including the Zen-Nippon Nisai Yushun (dirt, 1,600m), the son of Symboli Kris S marked a runner-up effort in his first start of this season then won three successive races, the Unicorn Stakes (G3, dirt, 1,600m), the Japan Dirt Derby (dirt, 2,000m) and the Mile Championship Nambu Hai (dirt, 1,600m), before coming into this race. This win marked trainer Kiyoshi Hagiwara’s second JRA-G1 victory following the Tokyo Yushun (Japanese Derby) with Logi Universe in 2009. For jockey Mirco Demuro, it was his 26th JRA-G1 win following this year’s Osaka Hai with Suave Richard and second Champions Cup victory following his win with Sambista in 2015. Breaking smoothly from stall two, odds-on-favorite Le Vent Se Leve was unusually positioned toward the front, second or third behind frontrunner Ange Desir. The three-year-old bay traveled along the rails up to the top of the homestretch then overtook the frontrunner from the outside 200 meters out where he accelerated powerfully with the second fastest late drive, pulling away from the rest of the field for a 2-1/2-length victory. “I didn’t want to be trapped behind horses starting from an inside draw, and he broke well so we were able to sit in a nice position. I let him cruise at his own pace and he responded with a fantastic turn of speed when I asked him once we found an opening at the stretch. He is a colt with great potential and a bright future ahead,” commented Mirco Demuro. Eighth choice Westerlund broke well from stall 12 then eased back to travel in the very rear, 4-5 lengths behind the rest of the field. The six-year-old son of Neo Universe hugged the rails rounding the last two corners and slipped behind the eventual winner at the top of the stretch, waited for a clear path to present itself between Sunrise Soar and Ange Desir when he exerted an explosive late charge that timed the fastest last three furlongs while unable to match the winner in second. Third pick Sunrise Soar traveled two wide in mid-division, around sixth from the front, made bid from the outside after turning the last corner wide and managed to nail Ange Desir 100 meters out but was overtaken by Westerlund in the last strides to finish third. U.S.-trained Pavel broke sharply and then allowed to settle in fifth or sixth, held his position up to the last turn but to respond when asked after entering the stretch and faded to last. “It’s so different here, the wait (45min from the saddling area to the starting gate) is so long, the horse lost his motivation, but racing here was a good experience,” commented jockey Mario Gutierrez. “He was good and ran a good race but as Mario said, it was a long wait and when he loaded into the gate, he was all quiet and you could tell that he had lost his racing mood. But that’s racing and I am pleased with him,” added trainer Leandro Mora.